The majority of scientifically trained biologists and geneticists are taught that the apparent design that is observed in cells is the result of only random chemical and energy processes operating over eons of time. Such a belief system prompts their thinking to rest on purely natural logic, producing materialistic conclusions—and often ignoring or marginalizing the implications of careful engineering and design. There are, however, multiple thousands of scientists who accept the Bible’s message that there is a Creator who planned the creation, designed the intricate engineering efficiencies into that creation, and then built the product: our planet and its wonderfully unique life and functions. That belief system not only fits empirically with what is observed (design, precise function, operational efficiencies, etc. ), but provides insight that enables creation-based scientists to grasp the significance of the information more readily—without having to invent a supposed eons-long story for the development of what is actually observed. 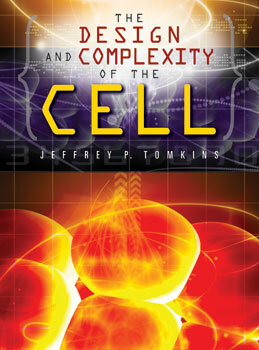 Dr. Jeffrey Tomkins and his contributing colleagues have provided an excellent resource that documents and helps explain the intricate processes of cells, and gives keen insight for “clearly seeing” the obvious hand of the Creator in the “things that are made” (Romans 1:20). Click here for more information about Dr. Jeffrey Tomkins and contributing authors. Click here to read the Foreword by Dr. Henry Morris III. This beautiful, full-color book in hardcover is only $19.99 (plus shipping and handling). Click here to order your copy today!